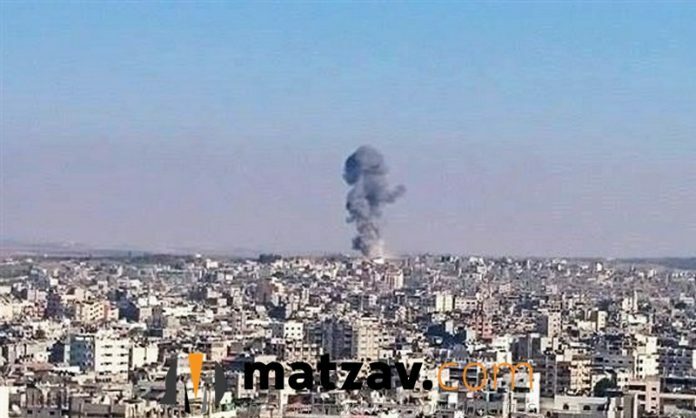 Palestinian terrorist group Islamic Jihad said on Saturday that it would halt attacks into Israel from the Gaza Strip after firing the heaviest rocket salvos across the border since August. One of the largest armed groups operating in Gaza, Islamic Jihad said it fired the rockets in retaliation for Israel’s killing of four Palestinian rioters on Friday. An Israeli military spokeswoman declined comment on Shehab’s remarks and there was no immediate response from other Israeli officials. Shehab dismissed the allegation as “an Israeli attempt to escape its responsibility” for Friday’s riot deaths. The Israeli military said it holds Hamas accountable for the events in Gaza. It stated that its air force hit more than 80 targets including one used by Hamas as a headquarters, in response to the more than 30 rockets launched into Israel. There was no immediate comment from Hamas. The flare-up began after the four Palestinians were killed on Friday during weekly riots. Israel said its forces were attacked with explosive devices and some rioters breached the border. Palestinians have been rioting along the frontier since March 30, demanding an end to an Israeli blockade and the right to return to lands from which they fled when Israel was founded in 1948. According to the Palestinian Health Ministry, 213 Gazans have been killed by Israeli forces during the riots. An Israeli soldier was killed by a Palestinian sniper. About two million Palestinians are packed into the Gaza Strip, which is in a deep economic crisis. Israel says it keeps a naval blockade and tight control of its land crossings with the enclave for security reasons. they used up all their ROCKETS, so they declared a CEASEFIRE. rockets they claim a ceasefire????? What a joke??? Why does the IDF take issue with these False claims??? High time for the IDF to totally eradicate and retake the territory which was given to them by Ariel Sharon and lead to DISASTER!!! A pity that Sharon did not survive to see the CHURBAN that he caused with his government’s “good gesture”. It not only was NOT GOOD AT ALL , but rather disastrous. Attacks are constantly coming from Gaza and look what became of the Gush Katif lands???? Also many who were mercilessly driven from their homes and built-up communities in August 2005 , STILL have no permanent dwellings – 13 years later!!!!!!!!!! Please share with us Bibi’s new excitement on this ceasefire after quite a few days with no ceasefires. A ceasefire until they can reassess their loses ,reorganize and send another set of missiles into Israel!!! Why are we such FOOLS!?!?!? Still waiting for Netanyahu’s promise, to deliver a heavy blow to Hamas. What’s taking so long?